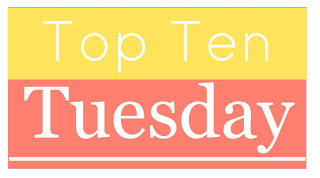 For future Top Ten Tuesday topics and info on how to participate, click here! This week we're sharing some of the most unique books we've ever read! And it'll jue be five since we weren't super on top of things this week! Whoops! This little gem was a fairy tale, a mystery, and a fantasy novel all rolled together. It was cute and made me so curious, I just flew through this book! I know I always fangirl over all of Ahlborn's books, but this one stood out from the rest for me. It still embodied everything creepy and tragic, but it intrigued me more than I expected. This is a must read for any horror fan! I was warned going into this that it was "weird". But was also told it was for fans of Neil Gaiman, which instantly drew my attention. This book is so fun and so intriguing. The world building is fantastic. I loved every minute of it! I love all of his books!! He's one of my favorite authors, and honestly, any of his books could go on this list. Neverwhere was my first by him and holds a place in my heart for that reason. It's written like a letter and I got Stockholm Syndrome. What the crap? What are some of the most unique books you've ever read? @Jana: you're not the only one feeling that way. Stolen turns right from wrong and leaves you feeling guilty(?) for wanting the wrong ending. Nice ones! Totally new to me ones too! Loved your list. Neil Gaiman would be on mine as well.Thanks for sharing! The most unique book I've ever read is House Of Leaves by Mark Z. Danielewski. It is a seriously crazy read. And I love Neil Gaiman—excellent choice! Oooo, The Devil Crept In, I just finished it and it was so creepy! I've picked a lot of Neil Gaiman books too! His books are always so unique! I loved The Ocean at the end of the Lane too! It was a quick read for me as I was so absorbed by it. You just expanded my TBR list exponentially!